An Indiana bride-to-be played a hilarious prank on her future husband on their wedding day. 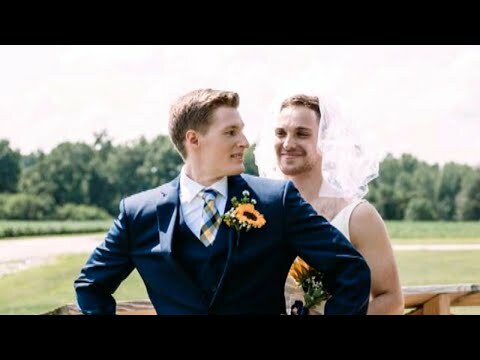 When groom Andrew Wright turned around to marvel at his then-fiancée in her wedding dress before their Aug. 4 ceremony, he found someone quite more manly grasping onto him – his best man. “It was probably one of the funniest moments I’ve had in my life,” said Kye Stachowski, the best man. InsideEdition.com’s Keleigh Nealon (http://twitter.com/KeleighNealon) has more. EXPL0Sl0NS & FIRES EVERYWHERE In BOSTON!